Bon Jovi This House is not For Sale Tour. Special guests – Manic Street Preachers. After thousands of sold out shows, it's clear – Bon Jovi = One Wild Night. One of the planet's biggest rock bands return to Ireland. A huge year of 80 shows and counting has also seen them inducted into the Rock And Roll Hall Of Fame. 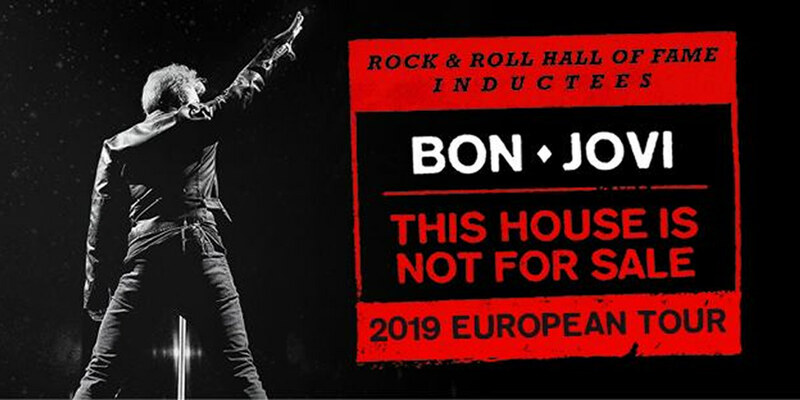 Their This House Is Not For Sale European Tour is set to be another blockbuster. Bon Jovi will play the RDS Stadium, something of a spiritual home for the band in Ireland, they sold out two consecutive nights at the RDS in June 2011 and played there 3 times before that. “Those huge shows, tens of thousands of people all together as one, that's what we do,” says Jon Bon Jovi.